Hey Rosetta!’s current album ‘Seeds’ has been voted to the Top 10 Short List for this year’s Polaris Music Prize. The band’s previous album ‘Into Your Lungs (and around in your heart, and on through your blood)’ also made the Polaris Short List in 2009. Seeds will be the focus of the sixth official Polaris Record Salon night scheduled for Tuesday August 9 at 8:00 pm at The Drake in Toronto. The St John’s, Newfoundland indie rock band’s summer dates kicked off at Downsview Park with a rousing afternoon set on a bill with Broken Social Scene, Weezer and The Tragically Hip. The band will also play other festival stops including Osheaga and MFEST in the coming months. Hey Rosetta! will be participating in War Child’s ‘Busking for Change’ initiative at their Osheaga performance at the end of July. 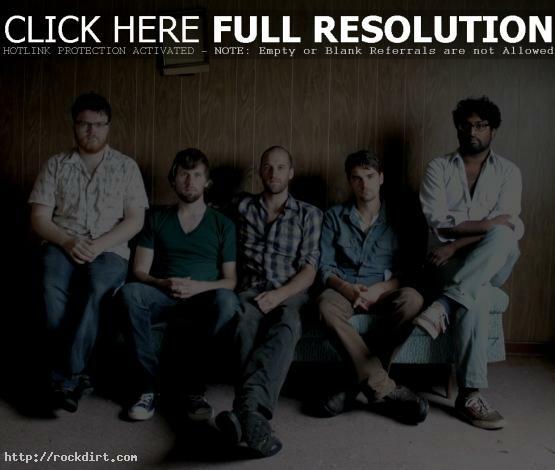 November of 2011 sees Hey Rosetta! back in North America for a headline tour, including a major market run across Canada and select stops into the U.S. They’ll be taking Australia’s The Jezebels out as support for the dates.